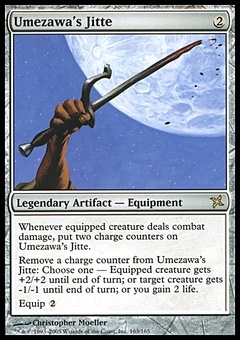 Ironclaw Orcs ($0.42) Price History from major stores - Unlimited - MTGPrice.com Values for Ebay, Amazon and hobby stores! 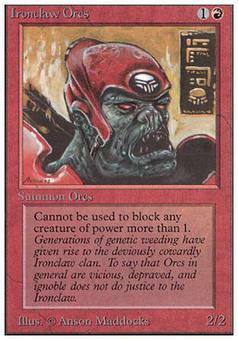 Card Text: Ironclaw Orcs can't block creatures with power 2 or greater. 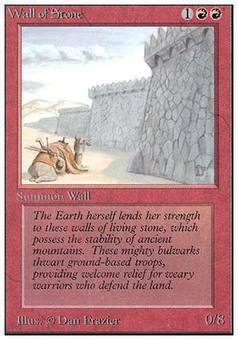 Flavor Text: Generations of genetic weeding have given rise to the deviously cowardly Ironclaw clan. To say that Orcs in general are vicious, depraved, and ignoble does not do justice to the Ironclaw.